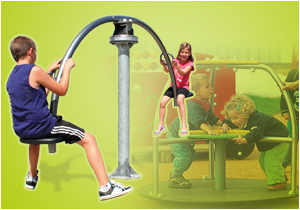 Rotating equipment is ideal for children of all ages. Younger children gradually learn about the fun of speed on roundabouts. Then, as they gain self-assurance, the children can test their sense of balance and test their limits on equipment that combines rotation and swinging.